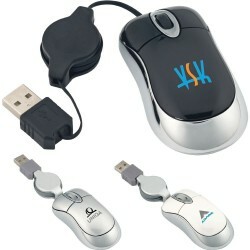 Promotional branded computer mice are effective when decorated with your corporate logo. 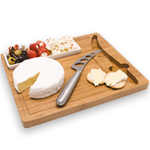 Customers have always considered custom mouse as go-to promo merchandise. 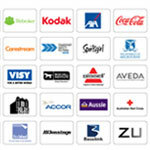 With your corporate logo or name printed on these promotional computer accessories, your brand enjoys much exposure. 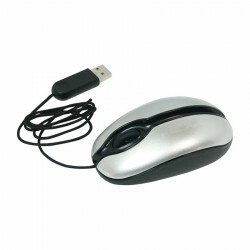 Be sure to check out Promotional Product Experts line of custom printed computer mice that includes compact mice for travel, wireless optical mice and mice in fun designs. 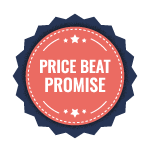 Trust only Promotional Product Experts for best value branded products. Wired mouse with build-in speaker. The speaker is powered by a build-in battery. 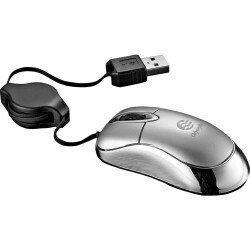 The mouse is powered by a retractable USB cable. 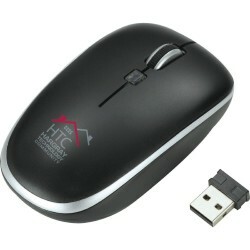 High precision optical wireless mouse, operates at 2.4 GHz Radio Frequency with 1000 DPI, Nano receiver can be stored under the mouse. Includes 1 x AAA battery. Mid size mouse with clever cord storage function. Nylon zipped case. 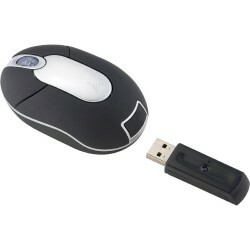 Optical Mini Mouse Optical sensor technology ensures quick response to mouse movements. 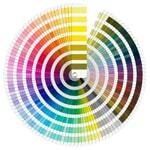 800 dpi resolution allows for precise graphic applications and detail oriented work. 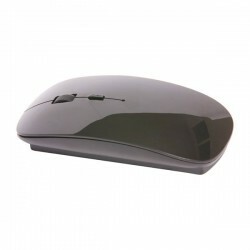 Vector Wireless Optical Mouse Sleek ergonomic design perfect for either travel or at a desk. Small built-in Nano receiver which receives signal up to 10 meters away. Also, has power off capability to preserve battery life and a 2,000 CPI with three speeds for conversion. Item is Plug & Play. Uses RF wireless technology. Automatic power-saving sleep function prolongs battery life. Hidden compartment for storing USB connector. Plug and play technology. See General Information page for battery insertion charges.